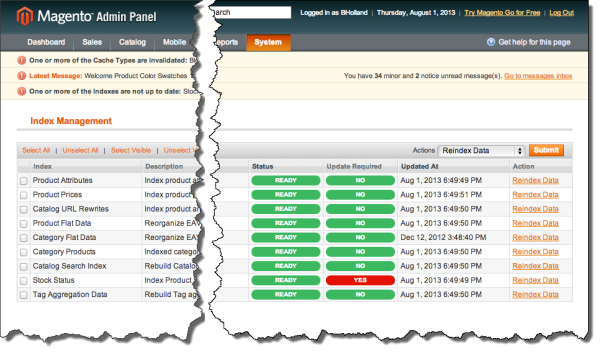 You can fix this problem by clicking on the link to Index Management or by going to System > Index Management in Magento. Going to this screen you will see an update is needed for Stock Status. 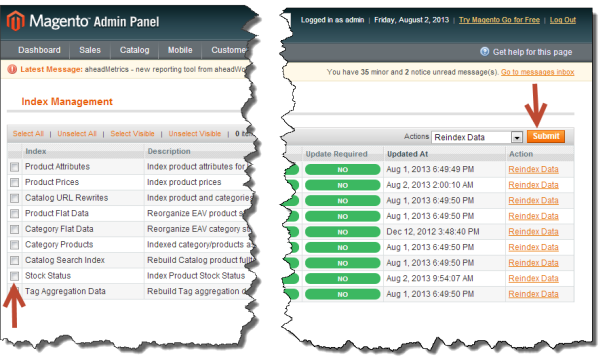 Checking the box in front of Stock Status and hitting Submit should solve your problem in most cases.